Calling out all penultimate and final year students! 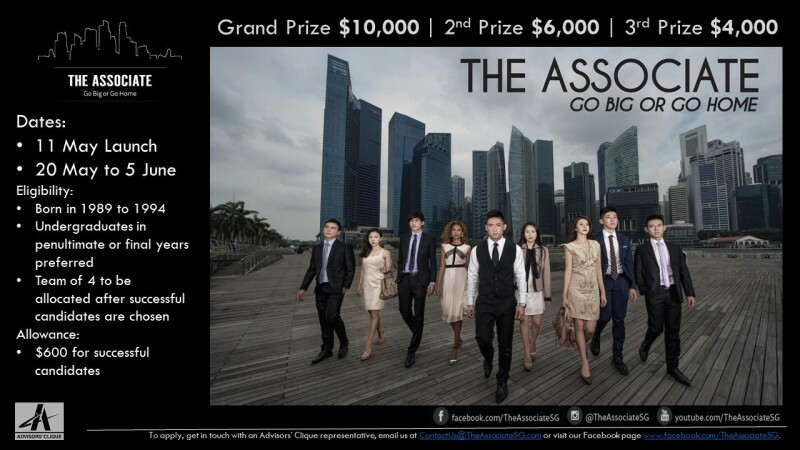 If you think you are creative, entrepreneurial, driven, sociable and daring, take part in ‘The Associate’ Internship Programme and stand a chance to win a grand prize of $10,000. The launch party will take place at W Hotel. Successful candidates will also receive $600 allowance during the competitive internship period. To celebrate the nation’s 50th birthday, the People’s Association Youth Division, together with all Institutes of Higher Learning (IHLs) and Institutes of Technical Education (ITEs), will be initiating the ‘SG50 People’s Association Youth Movement (PAYM) Loves Red’ Campaign. The campaign aims to encourage youths to come together to celebrate Singapore’s 50th birthday by organising activities that they feel passionate about in celebration of it. Youths are encouraged to embrace and actualise values and visions from the Youth Aspirations for Singapore Campaign in their ‘SG50 PAYM Loves Red’ projects. To commemorate the contributions of our founding Prime Minister, Mr Lee Kuan Yew, the campaign should include a segment involving youths and participants to pay a tribute to Mr Lee. In addition, the projects should also involve youths and participants to reflect on our nation’s success and how the nation has arrived there. Special grants and collaterals which includes ‘PAYM Loves Red” T-shirts and publicity cut-outs will be given to the projects. Interested? Completed applications must reach the PA Youth Division by Sunday, 31st May 2015. It was reported that Emeritus Senior Minister Mr Goh Chok Tong launched the Social Service Research Centre (SSR), which is under the NUS Faculty of Arts and Social Sciences on 24 April 2015. ESM Goh, who is also the Advisor of SSR, identified three key drivers of social climate change – shifts in demography, technology and social expectations – and noted that research can help Singapore anticipate and meet these challenges. SSR will work with policymakers and social service agencies to pilot social programmes, which ESM Goh added, should produce more effective services and social innovations in the community. NUS Deputy President (Academic Affairs) and Provost Professor Tan Eng Chye said that the centre was timely as it comes amid growing public scrutiny of social issues here. The new research centre will be led by Professor Paul Cheung and Associate Professor Irene Ng, who are both from the Department of Social Work at the NUS Faculty of Arts and Social Sciences. It will focus for now on low-wage workers, children, youth and seniors from low-income families. The purpose of the internship is to provide meaningful professional hands-on experience to students with proven academic performance and leadership potential. Abbott hires students majoring in many areas based on business need. Ideal candidates will combine technical and business knowledge with analytical strength and creative problem solving abilities. Project Overview: Abbott is reviewing the quality of new hires across all divisions in Singapore. We are embarking on an holistic project that comprises of 3 sub-projects and it includes Agency Management, Abbott Alumni Management and lastly the metrics that will measure the quality of new hires. 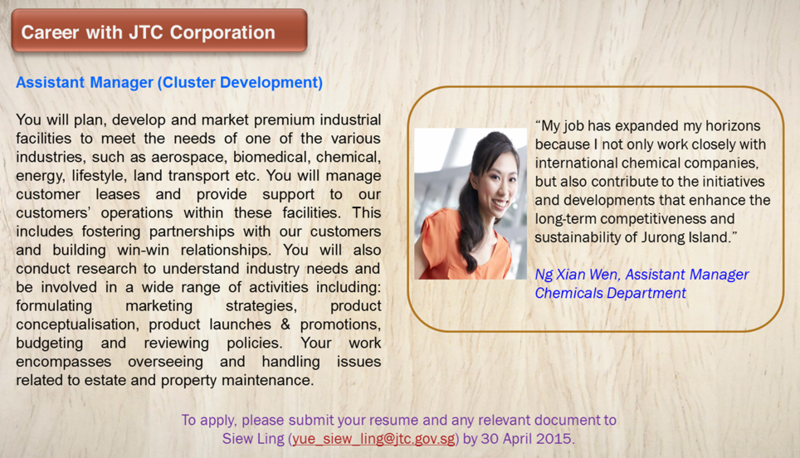 Please apply via NUS TalentConnect here. This was an interview with Professor Lily Kong, Vice Provost (Academic Personnel) at NUS and faculty member at the Department of Geography, who discussed about geography, as well as her work and research. Prof Kong has made it her mission to bring our shared past alive for those living in the present. She said that as we painstakingly uncover the past, there is a need to share that knowledge to help people get a better sense of who they are and what they are about. She has authored or co-authored four books: Conserving the Past, Creating the Future: Urban Heritage in Singapore; The Politics of Landscape in Singapore: Constructions of “Nation”; Singapore Hawker Centres; and Joo Chiat: A Living Legacy. RSVP Singapore The Organisation of Senior Volunteers is a non-profit organisation launched by the then Prime Minister Goh Chok Tong in October 1998 and approved as an Institution of Public Character in 1999. Its mission is to provide opportunities for seniors to serve the community with their talent and experience through purpose-driven volunteerism. Its major programmes are Cyberguide, Mentally Disadvantaged Outreach, Changi Service Ambassadors, Active Ageing Seniors, Ageing-in-Place, Learning Journey and Senior Guiding. 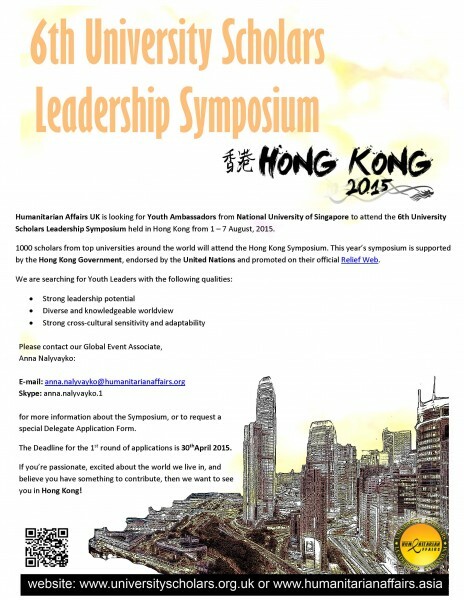 RSVP has places for 4 / 5 NUS interns. Interested students should email their resume to Ms Tarin Ong (email: tarinong@rsvp.org.sg ), Training Manager, RSVP Singapore. 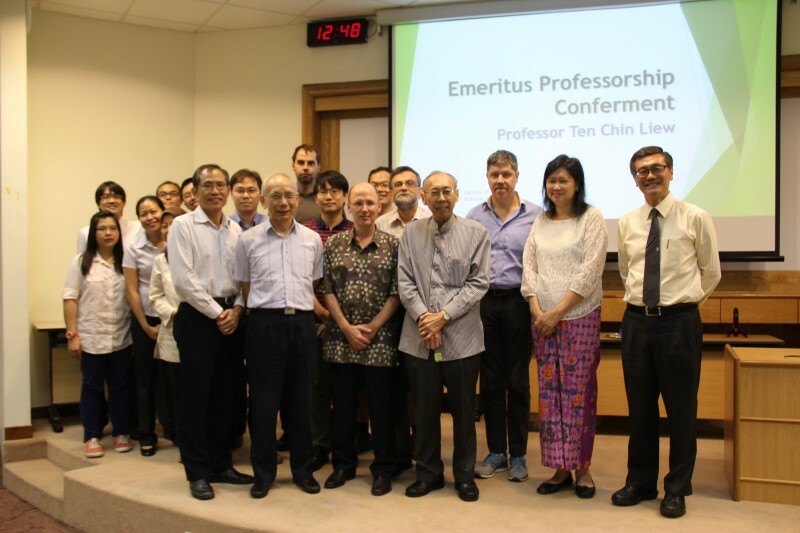 Congratulations to Professor Ten Chin Liew! 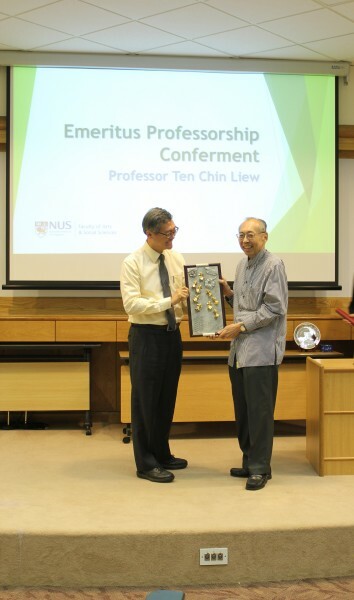 Prof Ten Chin Liew was conferred the title Emeritus Professor on 17 April 2015 in recognition of his sterling contributions and distinguished service to scholarship and the University. Prof Ten has accumulated over 25 years of service to the University, including 7½ years as Head of the Department of Philosophy and countless hours as a dedicated and inspiring teacher and supervisor. He is also a Fellow at both the Australian Academy of the Humanities and the Academy of Social Services. Prof Ten is widely recognised as one of the world’s leading authorities, if not the leading authority on the political philosophy of John Stuart Mill. His ideas have influenced the likes of other notable philosophers such as H.L.A. Hart, Joseph Raz, Nigel Walker and Wayne Summer, just to name a few. Prof Ten had also contributed nationally in the areas of bioethics and laboratory animal research. Auspiciously significant to the Chinese, the goldfish signifies wealth and abundance while the lotus is a symbol of purity and fruitfulness due to its ability to flourish even in muddy water. Our heartiest congratulations to Prof Ten once again! Prof Ten (4th from right), NUS Provost Prof Tan Eng Chye (right), FASS Dean Prof Brenda Yeoh (2nd from right), FASS Director of Administration Mr Mark Teng (left, first row), Prof Chong Chi Tat, Head of the Department of Philosophy A/P Michael Pelczar and the faculty from the Department of Philosophy at the award ceremony. Interested? Click here for the application form. 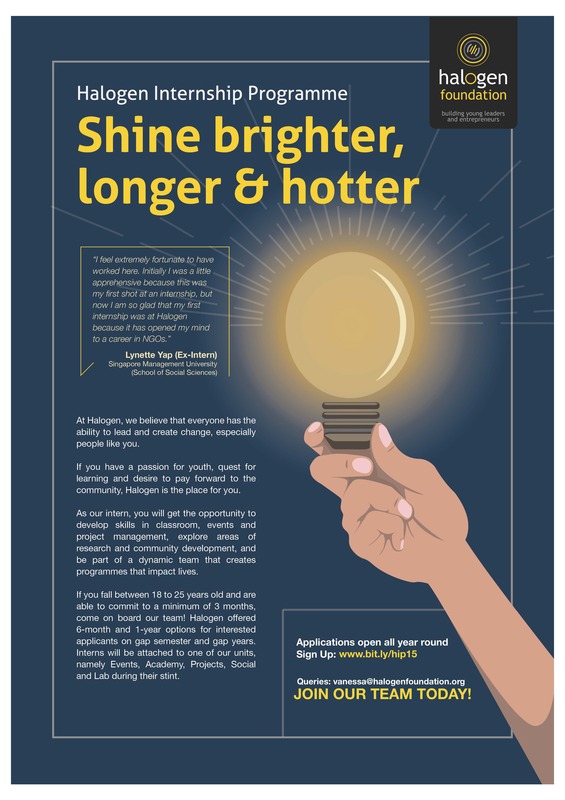 For more information on the Team Leaders for the Halogen-Network Teaching Entrepreneurship Programme click Halogen-NFTE Team Leader Requirements.